Being selected as a Best Agency to Work For by the Holmes Report is considered the ultimate benchmark of PR firm culture and workplace performance, in an industry whose primary asset remains its people. 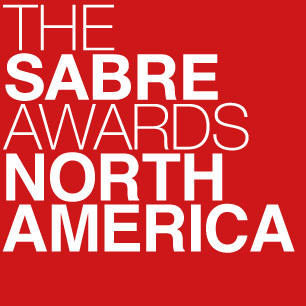 The 2017 North American Best Agency to Work For top winners (those ranked first in their category) will receive their awards at the SABRE Awards dinner on May 2 in New York. Ketchum Global Research & Analytics (KGRA) was hired to do the survey and analysis. Since KGRA is the research arm of one of the participating agencies, not only were all employee responses kept confidential, but at no point did KGRA researchers know which data set corresponded to which agency. Participating agencies were provided a uniquely coded survey link to send to their employees. Until today, only the senior team at the Holmes Report knows which link corresponds to which agency. KGRA staff who worked on the survey don’t even know which link corresponded to their own company. The study was conducted in several regions; the United States, the United Kingdom and continental Europe. To ensure reliable results, only agencies with a response rate of 50% or higher, or with at least 100 respondents were included. In the United States, 51 agencies qualified; in the United Kingdom, 14 agencies qualified; in continental Europe, 11 agencies qualified. What if I Want the Specific Analysis for My Agency? KGRA produced a 40-50 page report on employee engagement in the PR industry that will provide an industry perspective on engagement as well as key agency attributes including management, client service, diversity, culture, work/life balance, work quality, talent management, communication, professional development, compensation and ethics. The full report will be available in May 2017. Starting May 2017, agencies can order individual scorecards and reports. The Holmes Report’s Aarti Shah will notify KGRA for which link a report or scorecard is needed, but KGRA will not know for whom the results are being produced. The scorecard and/or reports will then be distributed to each agency directly via the Holmes Report. All results are only reported for subgroups of over five employees.